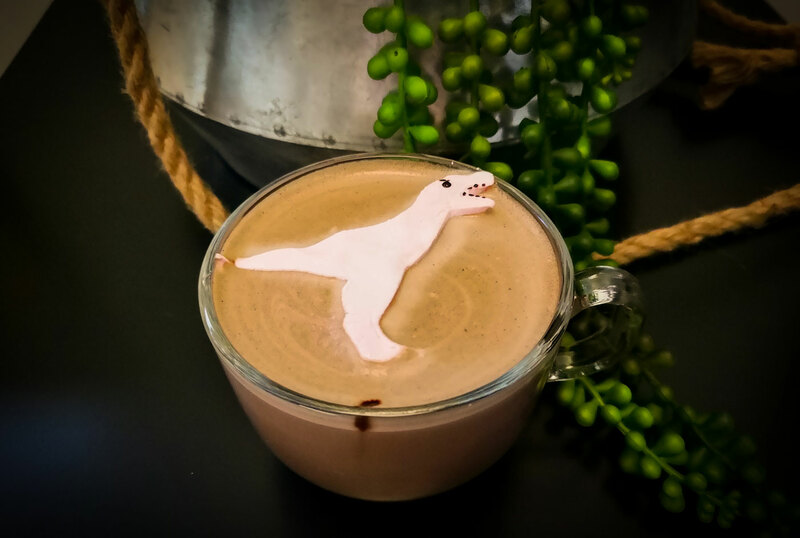 This year’s drinks include a hot chocolate topped with a dinosaur marshmallow, passion fruit hot chocolate and a boozy hot chocolate inspired by an Old Fashioned cocktail. Nothing can cure the winter blues like a nice cup of hot chocolate. Thankfully, there’s the 8th annual YYC Hot Chocolate Fest, which lasts an entire month. From February 1 to 28, Calgarians can order special hot chocolate creations at more than 75 restaurants, cafes and chocolate shops around the city. The best part is that some of the proceeds from every drink purchased during the festival will benefit local non-profit Calgary Meals on Wheels. New this year, you can download the YYC Hot Chocolate Fest app to see the full list of participating spots and their drinks, locate one nearest you on a map and vote for your favourites. At the end of the month, winners for Calgary’s best hot chocolate, Calgary’s best spirited hot chocolate and the Cup Runneth Over Award will be announced. On Thursday, January 31, the 2019 festival launch event is happening from 4 to 7 p.m. at Southcentre Mall. Stop by to sample free hot chocolate from this year’s participants. If you’re not into anything too fussy, this one’s for you. House-made ganache chocolate blended with steamed milk gives this hot chocolate a rich, velvety flavour. Find it at Deville Coffee’s location on First Street S.W. (formerly Fashion Central). This hot chocolate is an ode to Alberta’s dino history. It’s made with orange and cardamom syrup, dark chocolate sauce, microfoam milk and topped with an Instagram-worthy salted caramel T-rex marshmallow. 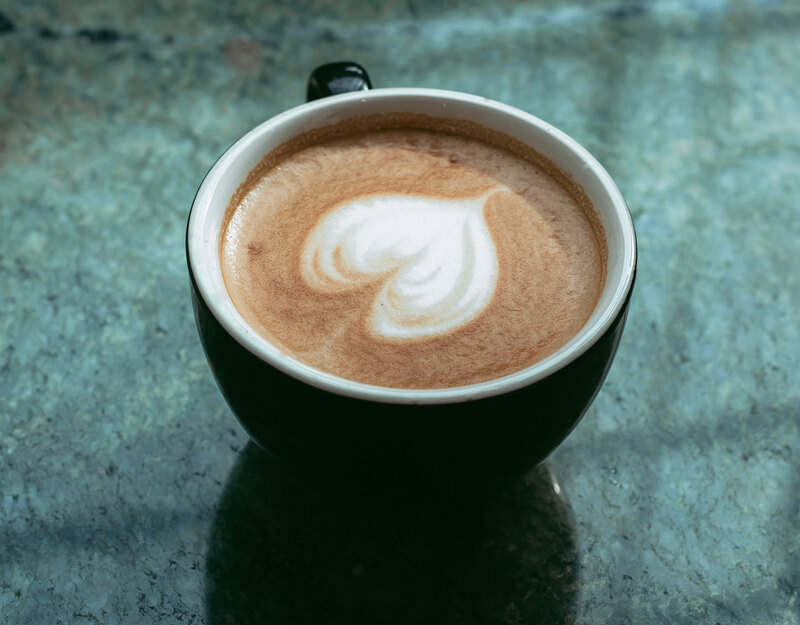 Latte Art Love is a coffee caterer, but you can get this drink at its coffee shop located inside Marda Loop Mercantile from Wednesday to Sunday. Flower & Wolf is the restaurant attached to the Sheraton Suites Calgary Eau Claire. 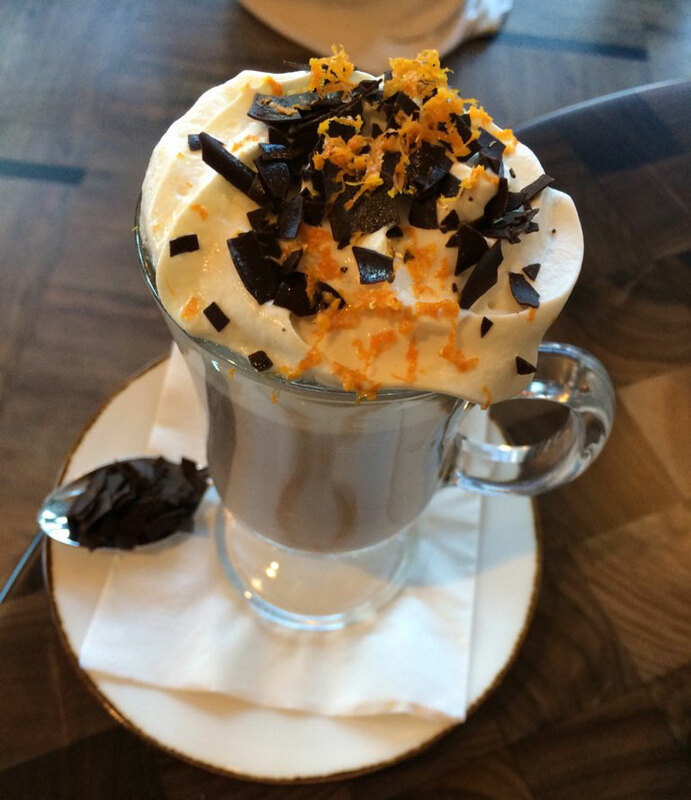 This hot chocolate is inspired by the restaurant’s signature Old Fashioned and is made with orange spiced simple syrup, Grand Marnier, Créme de Cacao and topped with whipped cream. Considering the popularity of this new French bakery’s colourful raspberry croissants, it’s no surprise that its hot chocolate also has a fruity twist. 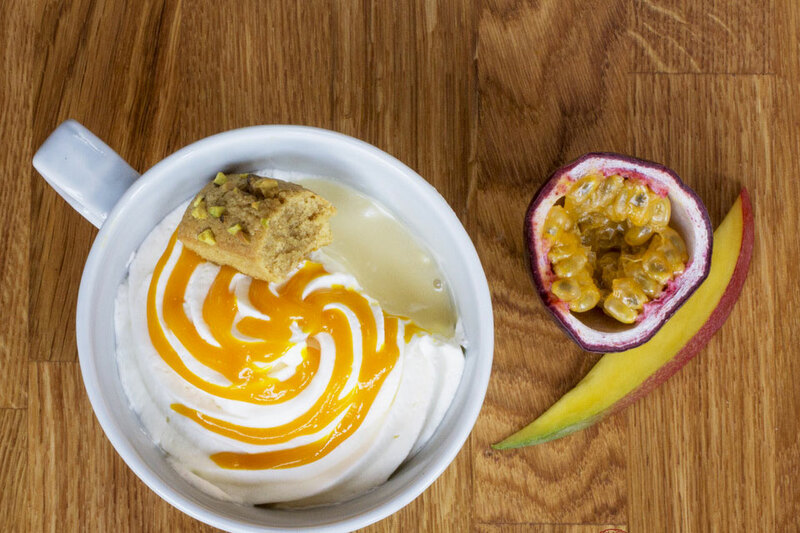 The passion fruit hot chocolate is topped with vanilla bean whipped cream, mango sauce and a mini pistachio financier (cake). This one might be a hot chocolate for two. 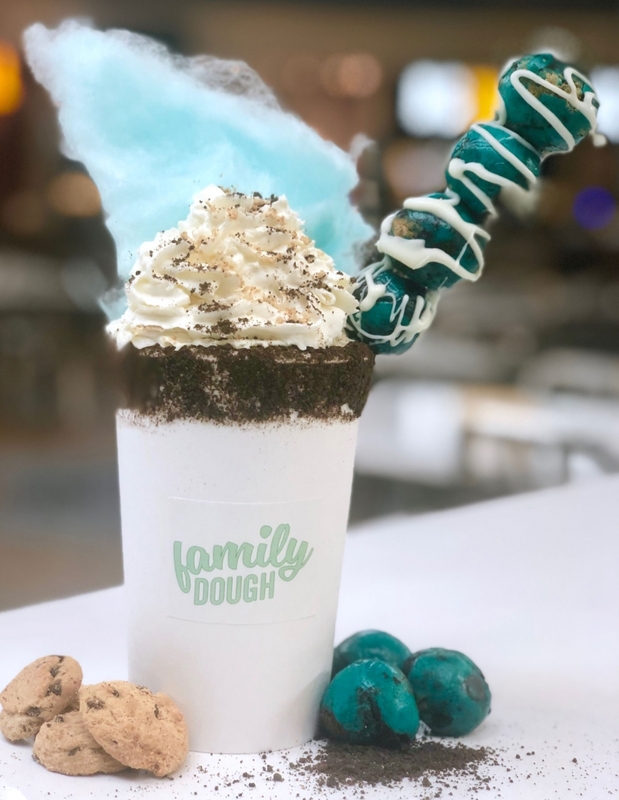 It’s made with milk chocolate and topped with whipped cream, mini marshmallows, sprinkles, cookie crumbles and a skewer of edible cookie dough balls. The cup is also rimmed with cookie crumble. And if that wasn’t enough, it’s served with a chocolate chip cookie on the side. You’ll find Family Squeezed Lemonade at the Food Hall at CrossIron Mills.